Do they support you or subvert you? Yes. Do you work at home? With cats? If you do, I bet you know that working at home comes with joys and challenges of its own. Cats, naturally, accentuate both the joys and the challenges. 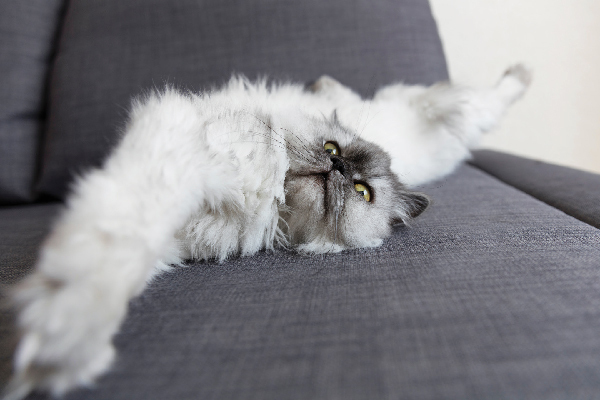 Here are some ways that cats make my work at home rock — and here are also some ways that cats try hard to make my work-at-home experience a total FAIL. 1. They make me get up and work! Have you heard cliches about people who work at home and rise whenever they want? Those are cliches, especially if you have cats. What cat in her right mind is going to let you sleep in past four in the morning? It’s feeding time, after all. After you’ve fed her or your bunch of cats, why go back to bed? There’s work to be done. 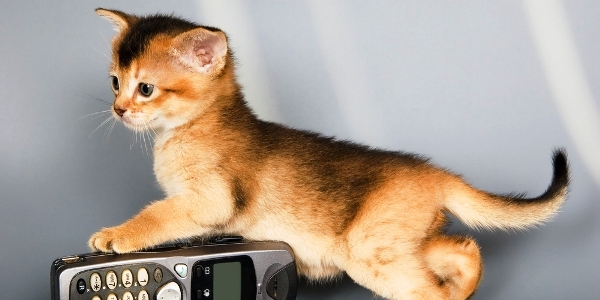 So thank your cat for improving your productivity! Work at home can quickly take over the rest of your life. It’s not like a regular day job. When you work at home, your job is always there. You almost need things to remind you that yes, there is life outside of work. Again, cats come to the rescue. They need to be fed, played with, and cared for, often on a timetable. Sometimes I think my cats might be one of the only things (okay, well maybe this is a slight exaggeration, but there’s truth in it) keeping me from disappearing into a work black hole. Sitting is bad for the body. Too much sitting makes me stiff and cranky. Instead, why not run around with your cat? If I’ve been writing or at the computer for a couple of hours, it’s time to get up and play with a cat. Playing is good, and it makes me work even better when I return to my desk. Who cares about soul-sucking administrative stuff (ugh, boring) when you have a cat? Just get the icky stuff done (taxes? Bookkeeping? Any of the myriad of other stuff that keeps us from what we really want to be doing?) and then go pet your cat. Take a break. 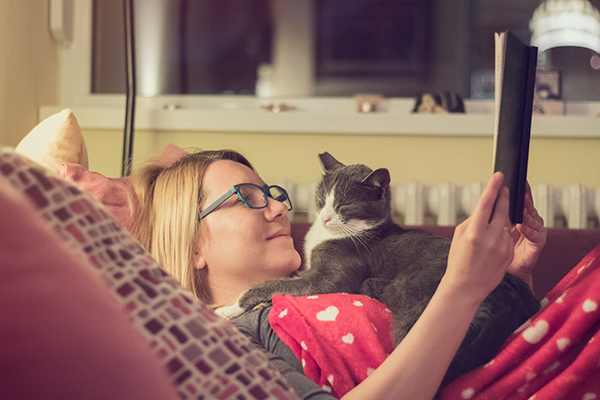 You’ll feel refreshed and your cat’s grateful and loving purrs will reverberate in your ears. 5. They make me laugh! That’s a huge gift. I love my work, but sometimes I’m inundated. Then I start taking everything too seriously and getting stressed. When I’m staring at the computer, frozen, and freaking about how much I have to do, it’s time for a cat break. They’re waiting so patiently for me to see the light and turn my attention to them, just for a moment. When I’m foolish enough to bring my work into the house (silly me! Why haven’t I learned by now? ), the cats, of course, are all over everything. Forget about doing paperwork — the cats have plopped their butts and their bodies all over my stuff. And when a cat doesn’t want to move, he turns into a furry concrete brick. Computers — even worse. 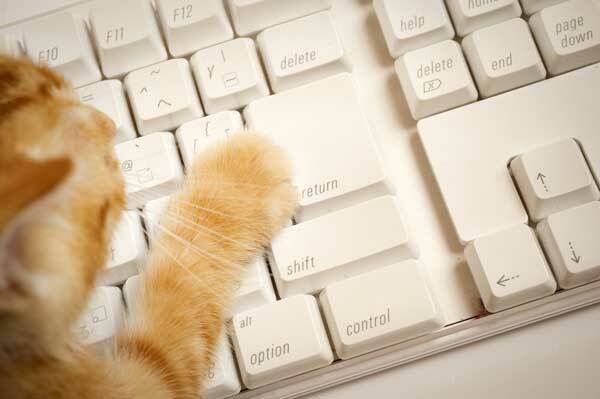 The cats are all over the keyboard. 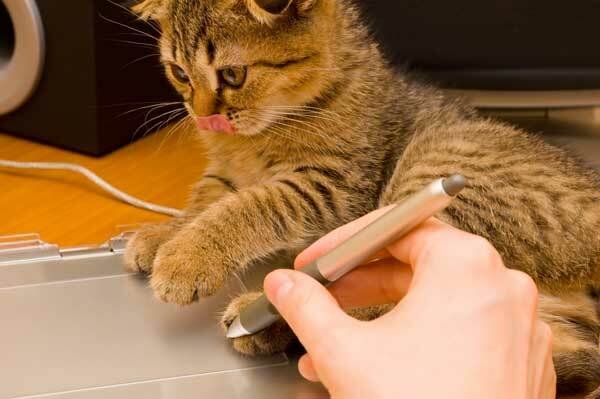 One innocent swipe of a paw and my work could be lost, or garbled, for good! I’m the kind of person who works best in absolute silence. I can’t work to the TV; I don’t play music. But cats don’t care about that. 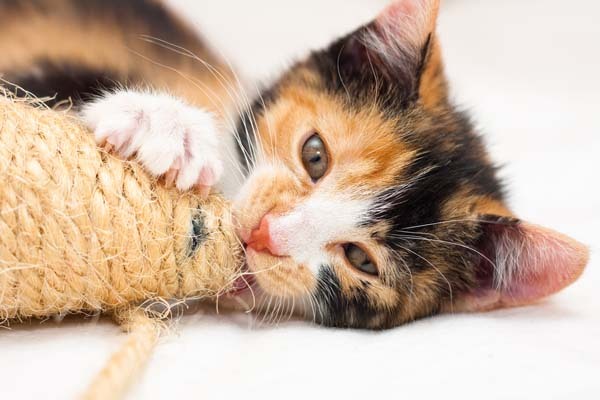 If I’m working with cats nearby, you can bet they’re making all kinds of noise — paws pounding on the floor (you’d think they were horses), toys smacked, and hissing and snarling if they get worked up play-fighting. Or, more likely the scenario is that they’re simply whining for food, which is annoying enough. Fortunately, I have cats with great personalities, and mostly they’re pretty forgiving. But sometimes, if I’ve spent too much time working in the office, I almost start to feel as if the cats are strangers. They’ll act a little aloof, as if they’re creating figurative distance between us. Naturally I can’t stand this, and I smother them with love. Things get better and work out. Maybe this is actually a WIN. This is the cutest and the saddest scenario! As I leave the house to walk to the office, they follow me to the door. They turn on the cuteness, upturned faces beseeching me to stay. They talk and do the cute things they know I love — bring toys to the door, roll around wanting to be petted, and all the special cat actions that I’ve come to know and love. Come to think of it, maybe this is a WIN, too. 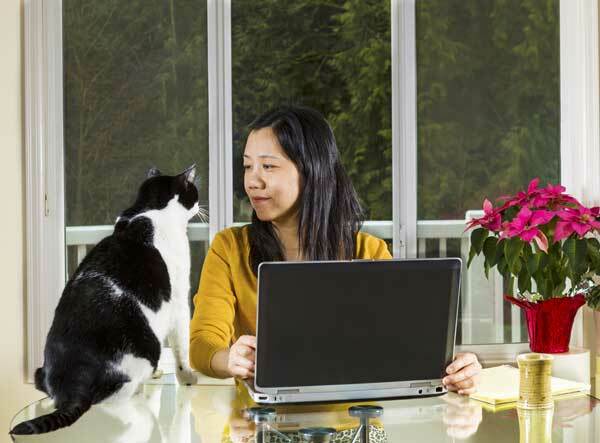 How do your cats sabotage or support your work, whether you work at home or elsewhere? Share your stories in the comments! 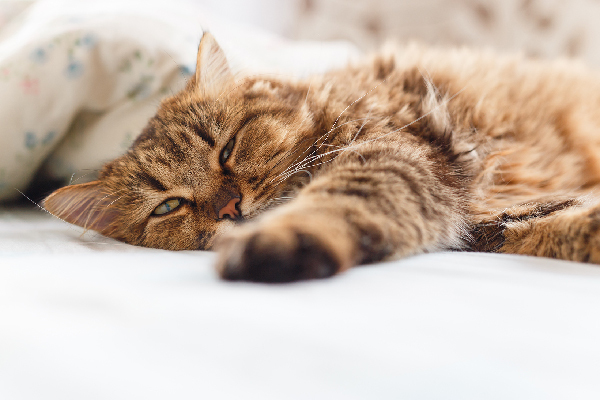 Let’s Talk: Do Your Cats Love or Hate It When You Leave Town? Cats Live in the Moment; Why Can’t You?